The Mini Level Switches we offer are standard float switches, which are available in top mount as well as side mount options. This is a basic model in our wide repertoire of level sensors and regulators. They are used in applications where you have either a minimum or maximum mark, and the liquid in the container needs to be automatically regulated as per the mark. 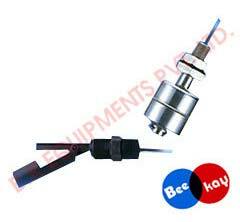 We are a recognized and dependable exporter based in Chennai, Tamil Nadu India.